Leon’s birthday! | Turning my world upside down! Today is Leon’s birthday so naturally I cooked some Danish food. It’s his favourite, after all. I made Ceasars with Ariane’s Danish Vodka so I could sip as I cooked. 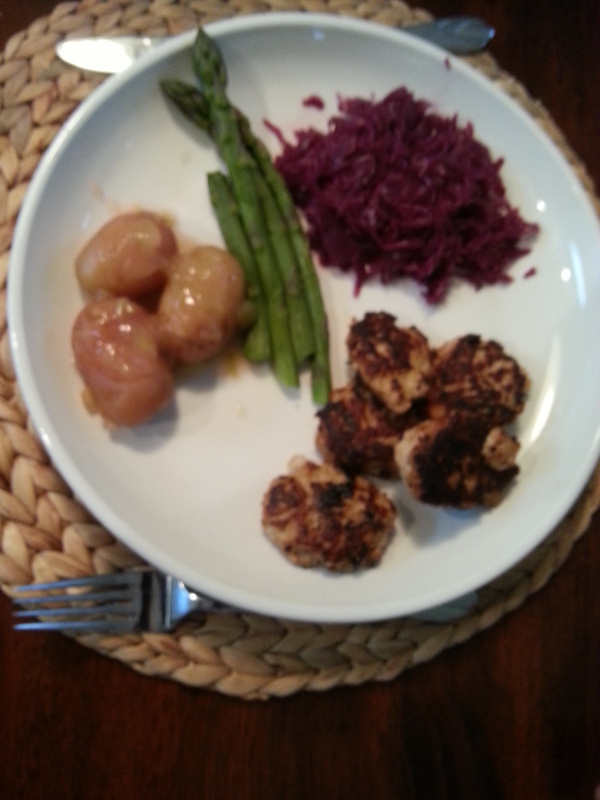 The menu was frikadeller (f-eye-ka-della), boiled baby potatoes, brown gravy and red cabbage (rodkaal). Dessert was rabarber grod (rhubarb stewed with extra sugar and milk added). It might sound strange but it was really yummy. And the rhubarb was cut fresh from our garden. Leon was making happy noises as he ate. 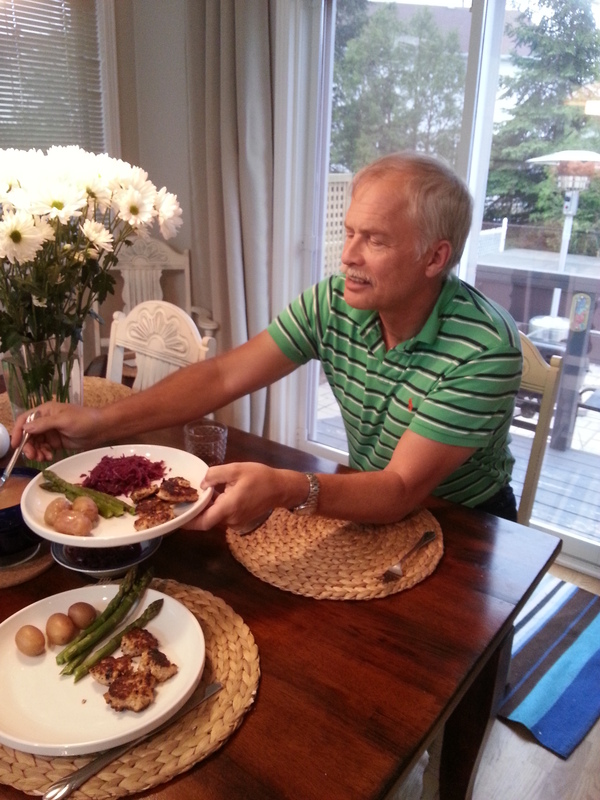 The asparagus are probably not Danish, but I like a bit of green on the plate.